They say that first impressions last a lifetime, so why should your home be any different? 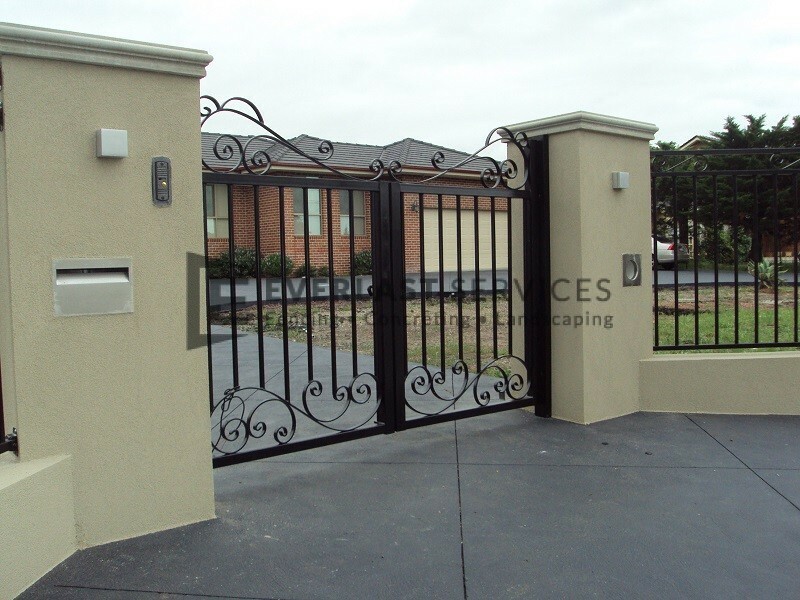 Your house’s gate is the first thing that your visitors will see, so it should definitely make a statement. 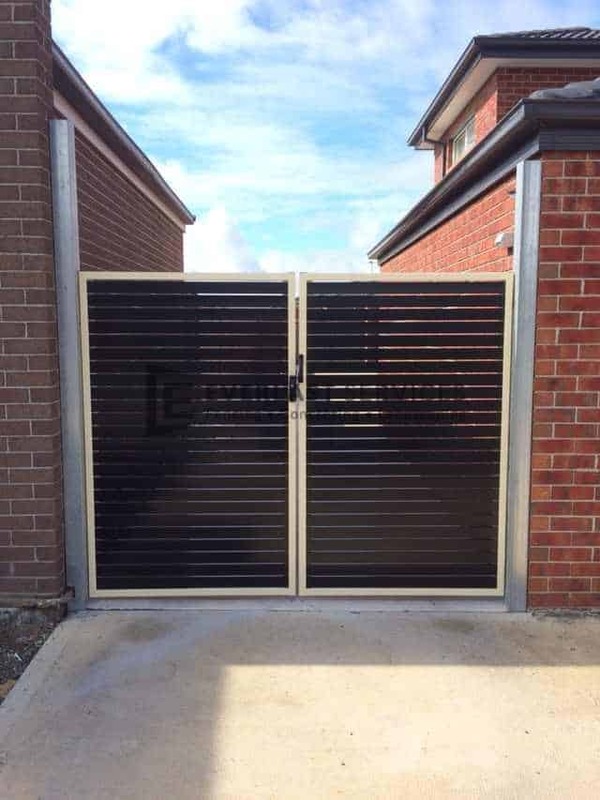 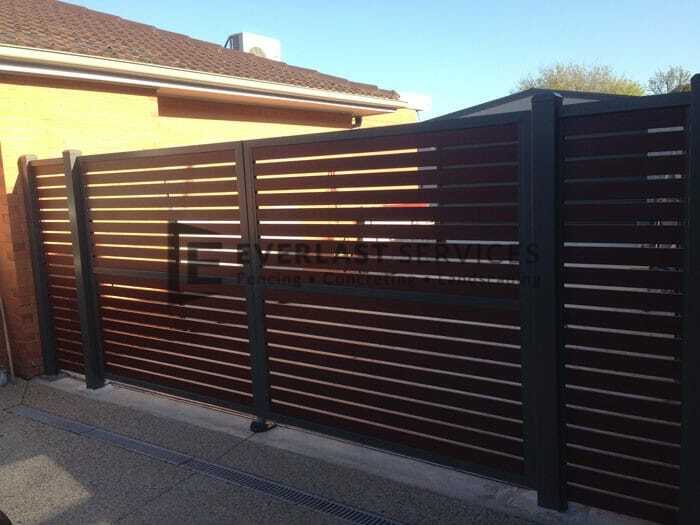 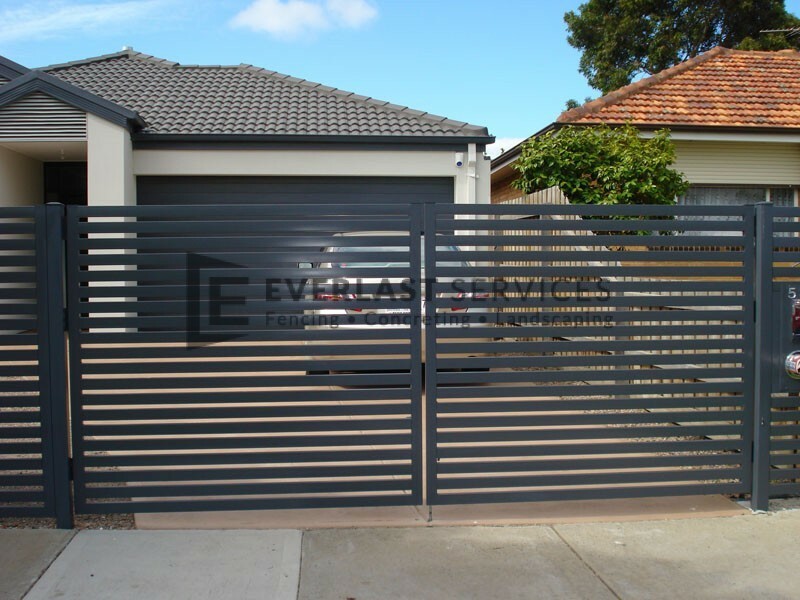 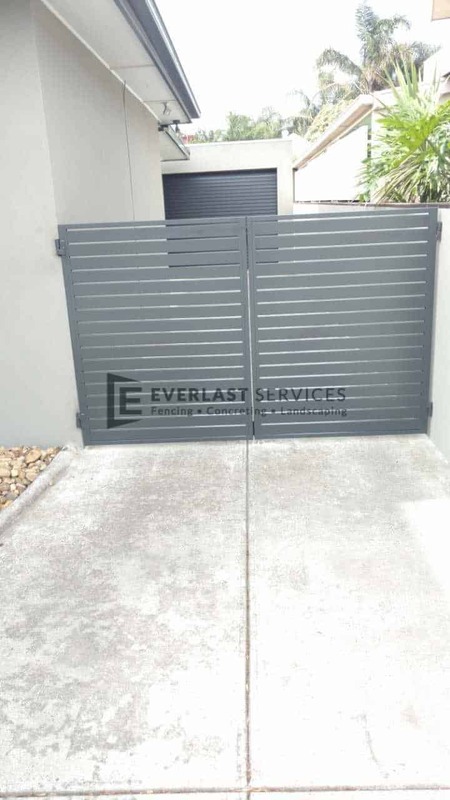 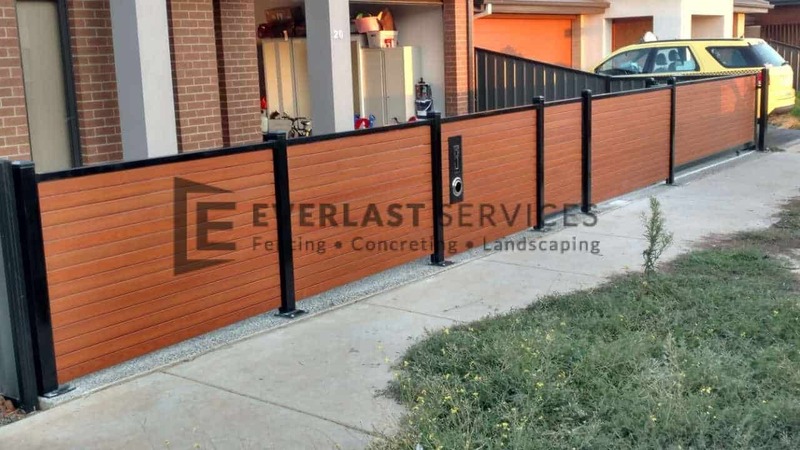 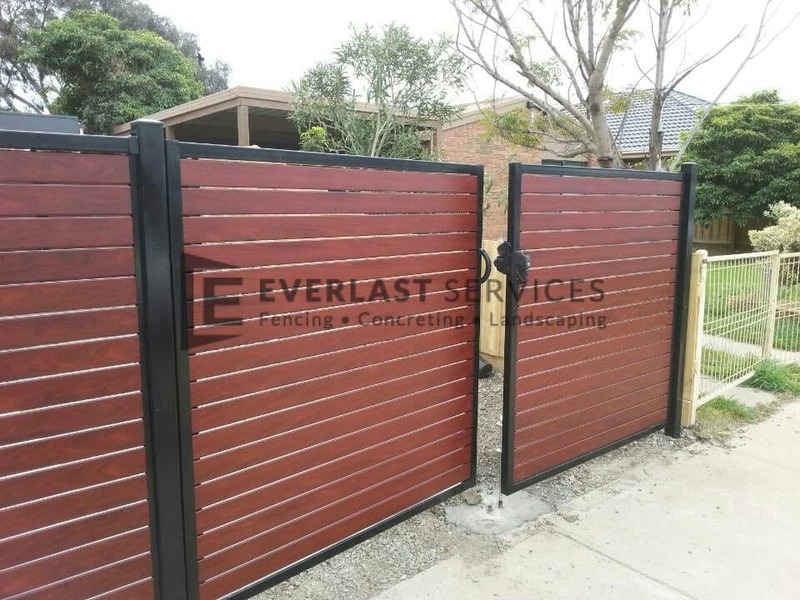 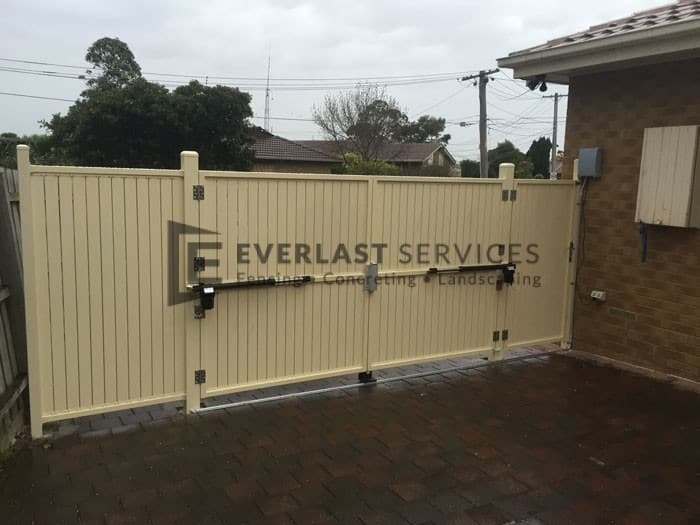 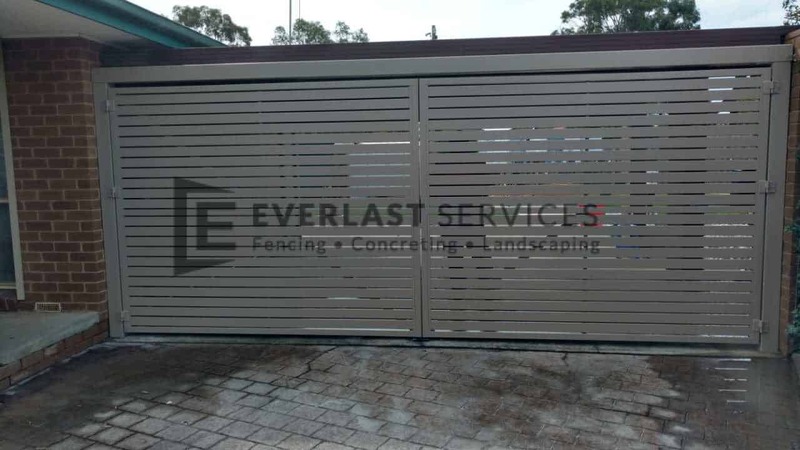 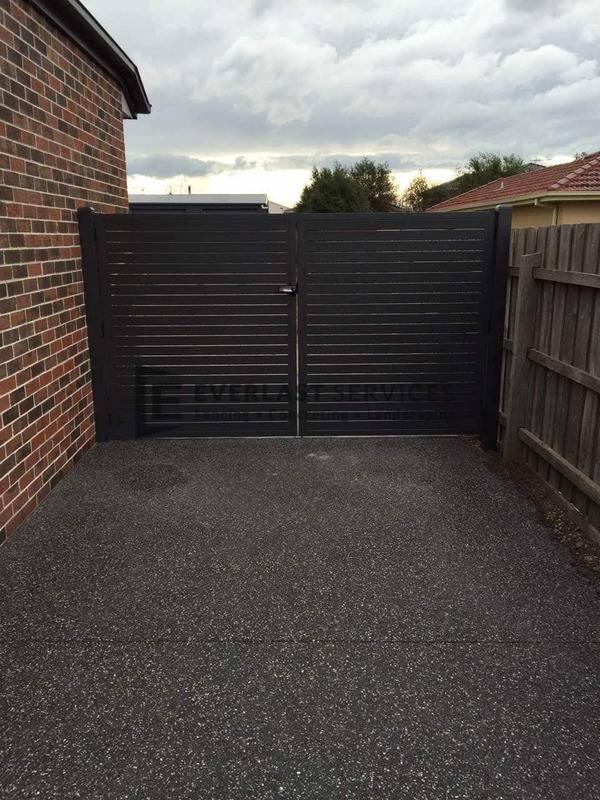 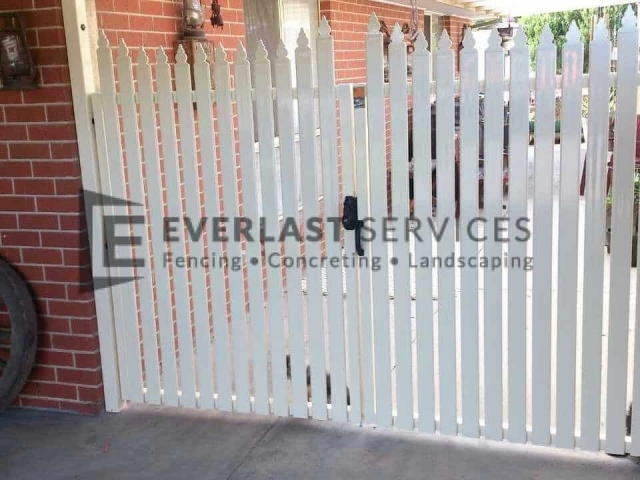 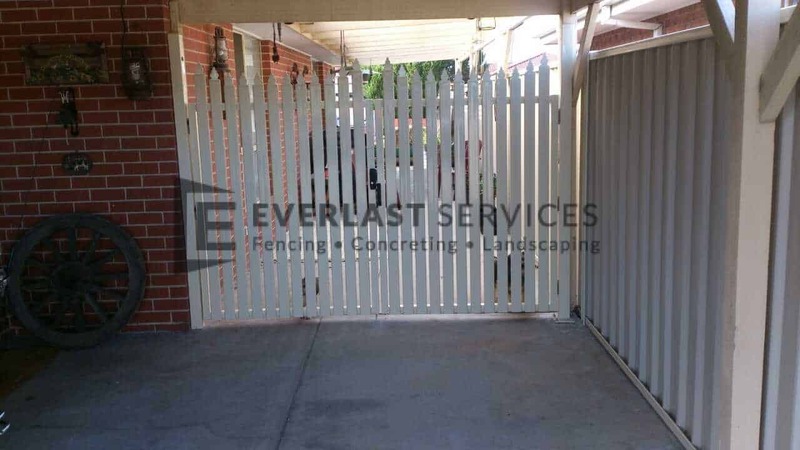 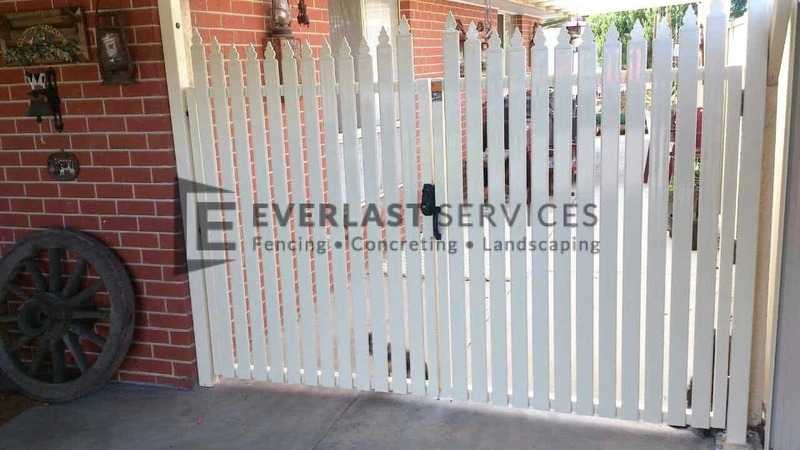 At Everlast Services, we are the master craftsmen when it comes to gates in Melbourne. 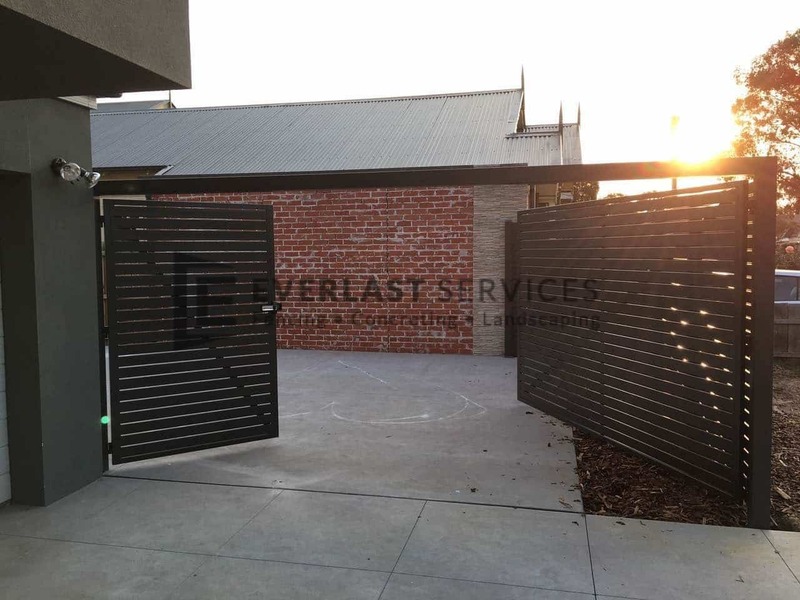 If you’re after the best in privacy, security and aesthetics, then Everlast’s steel gates should definitely be considered. 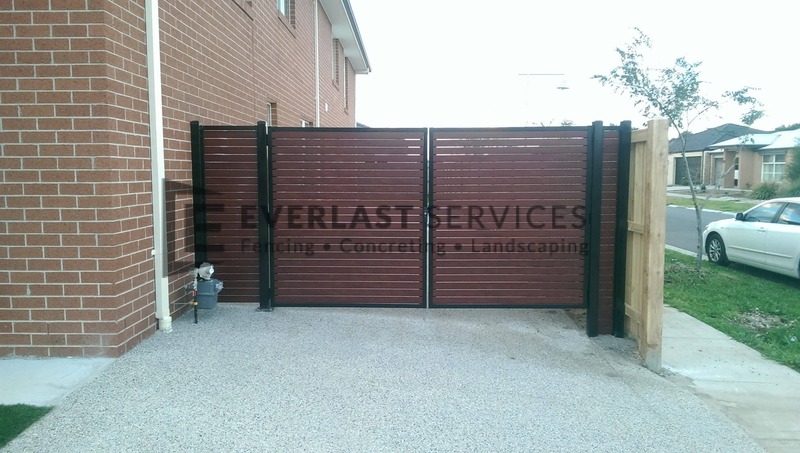 We design our steel gates to be durable, contemporary and easy to maintain – perfect for yourself and everyone walking buy your premises. 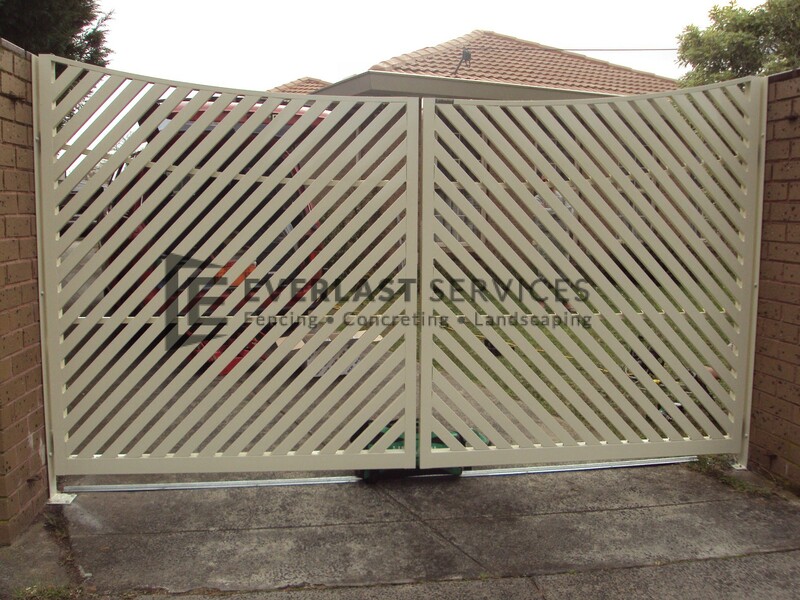 Because we manufacturer and design our frames ourselves, you can customise every facet of your order. 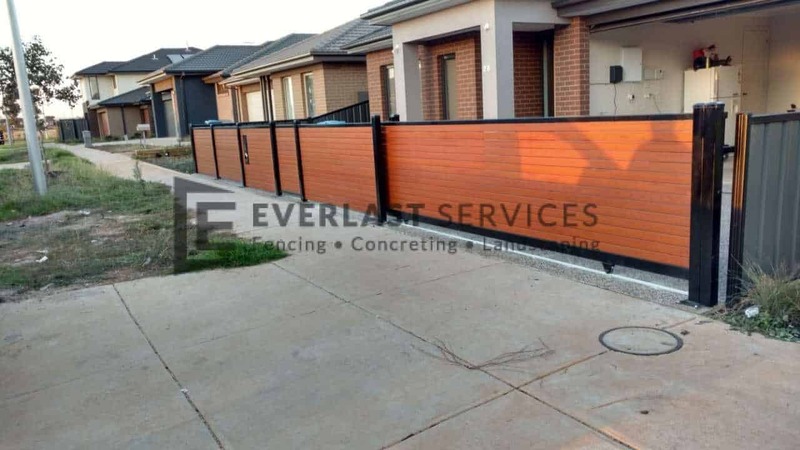 From design, material, colour and size, the possibilities are endless. 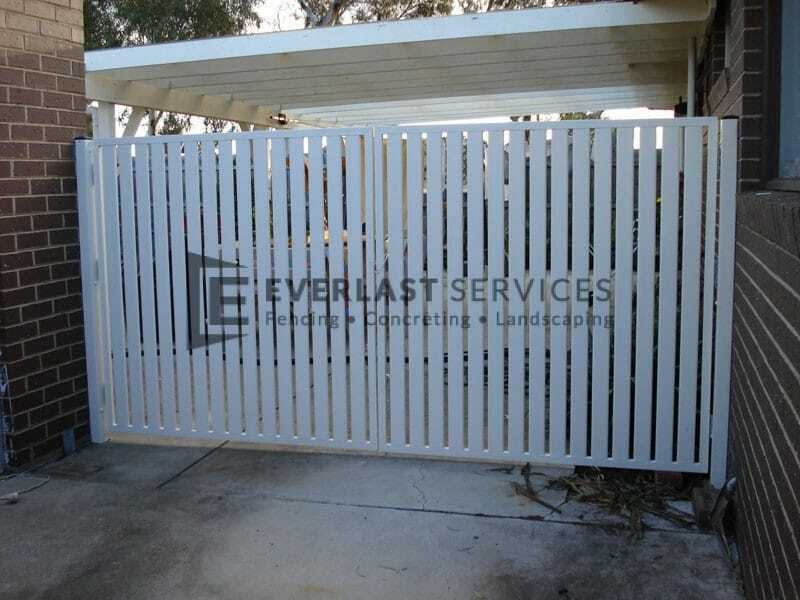 With more than 20 years experience in all types of metal gates and fences, there isn’t a job we can’t handle. 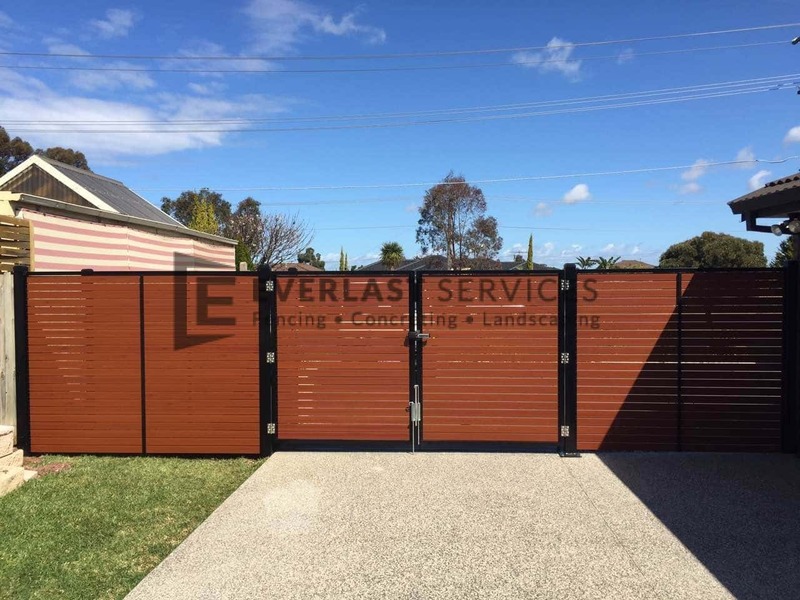 We know all there is to about the industry, meaning we can apply our knowledge to any of your projects. 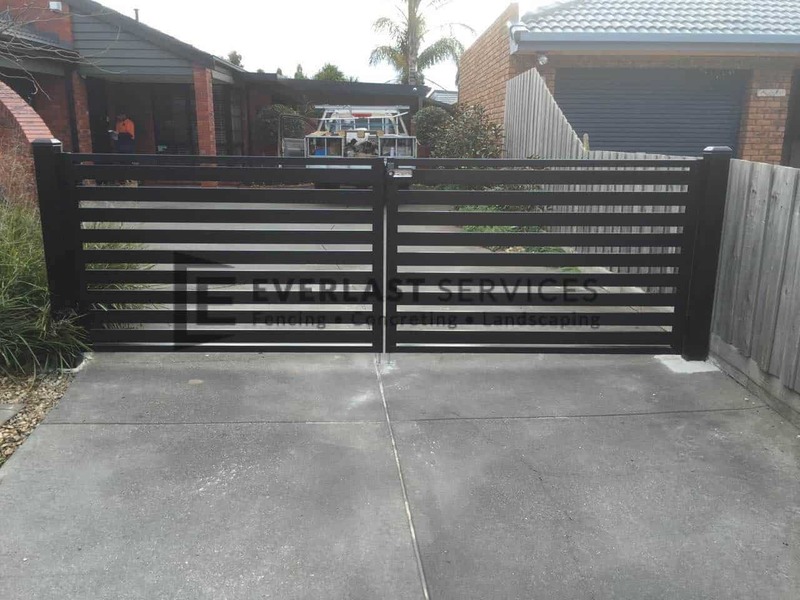 Steel gates are one of our specialties, as well as one of the most versatile materials to protect your property. 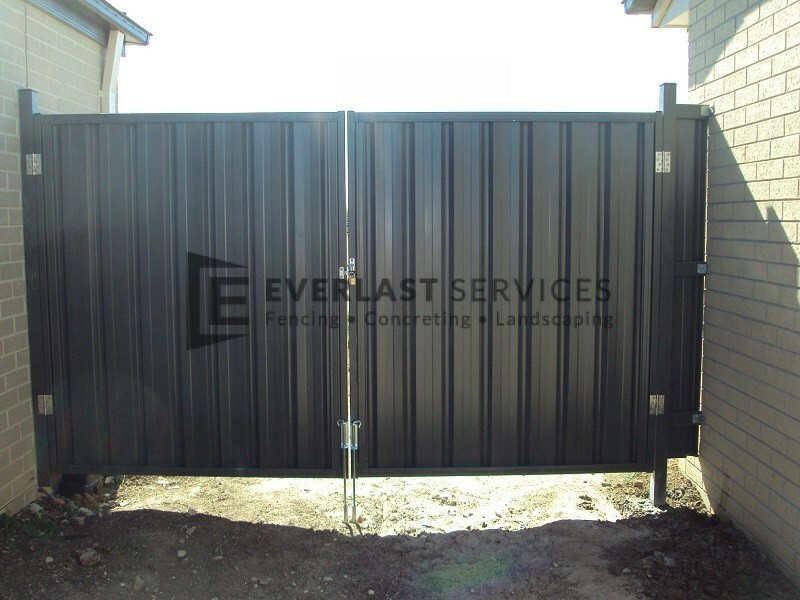 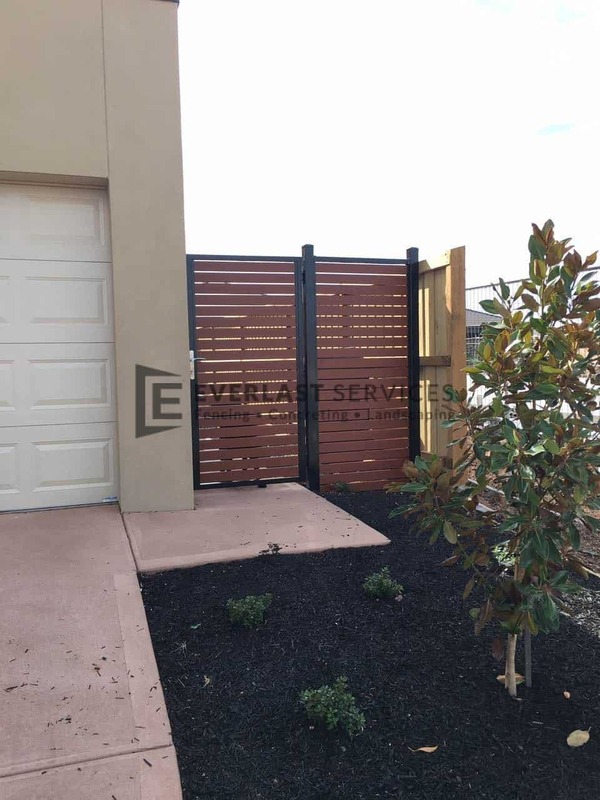 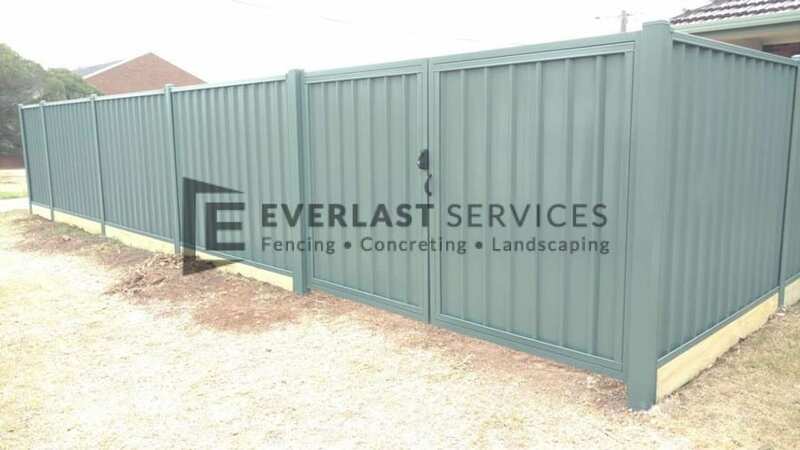 Why Use Everlast Services Steel Gates? 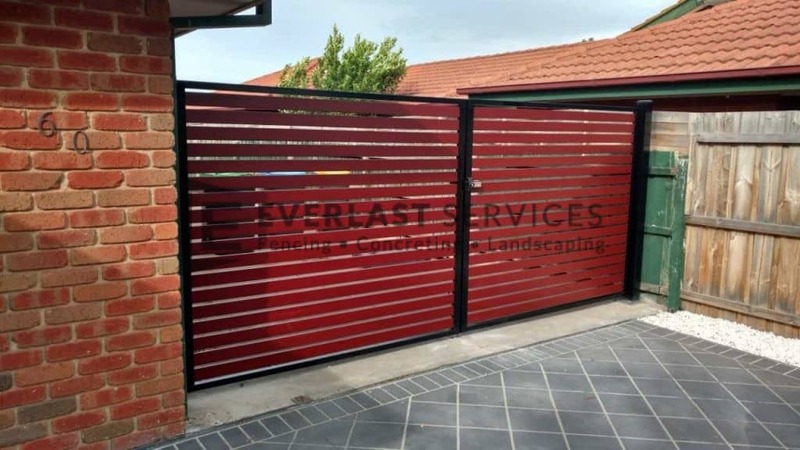 Steel is built to last. 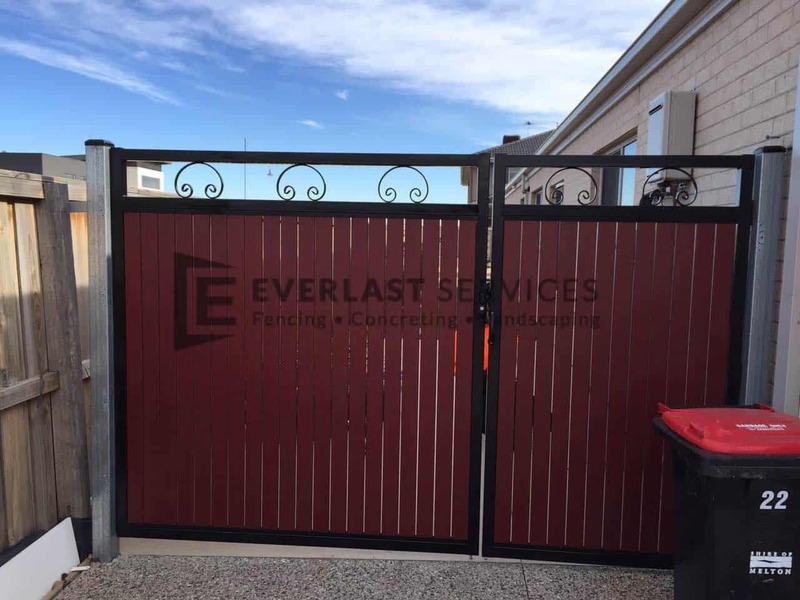 Not only is it heavy and resistant to the elements, it is also strong, powerful material, making it perfect for both protective and decorative gates. 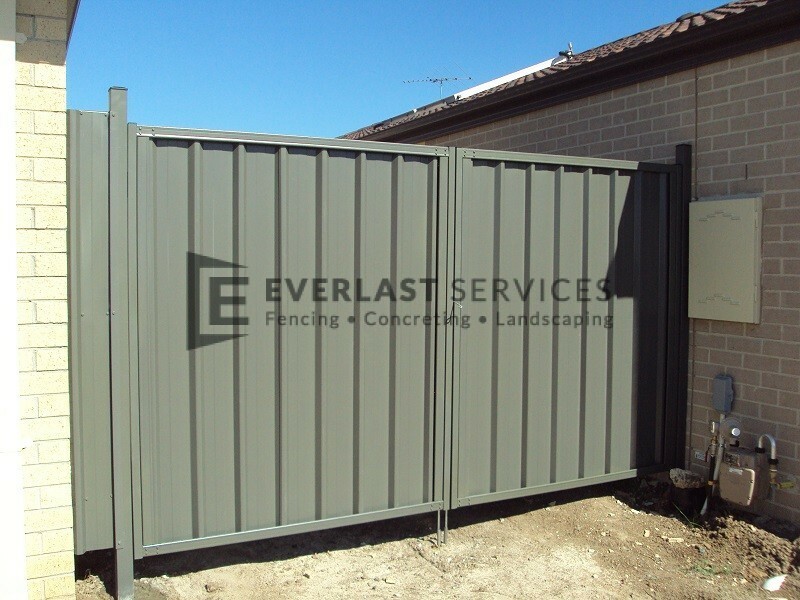 Steel can be moulded and customised to fit into any number of environments. 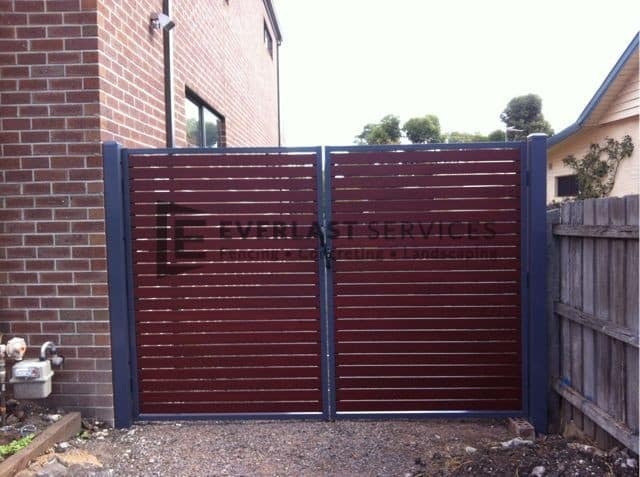 The height, colour, size and design of metal gates can all be automated for you. 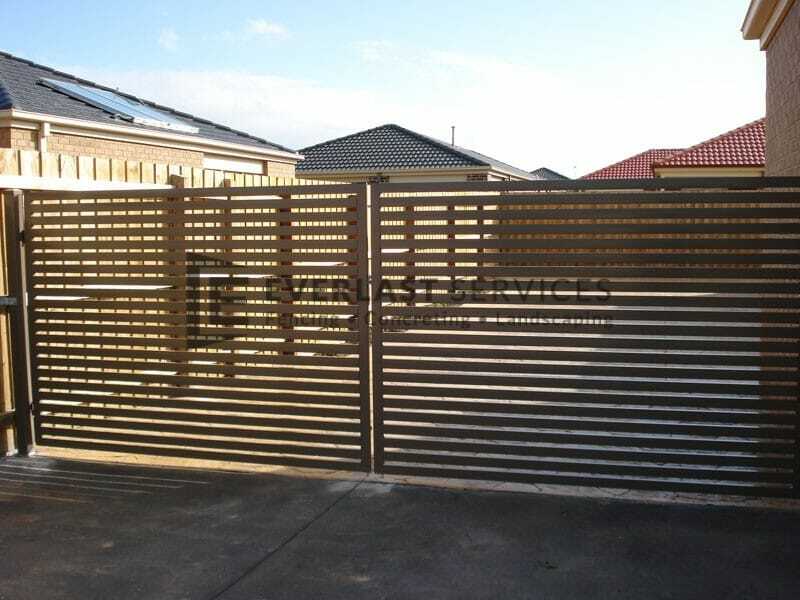 If you are trying to build add security to your perimeter with a gate, then steel is definitely the way to do that. 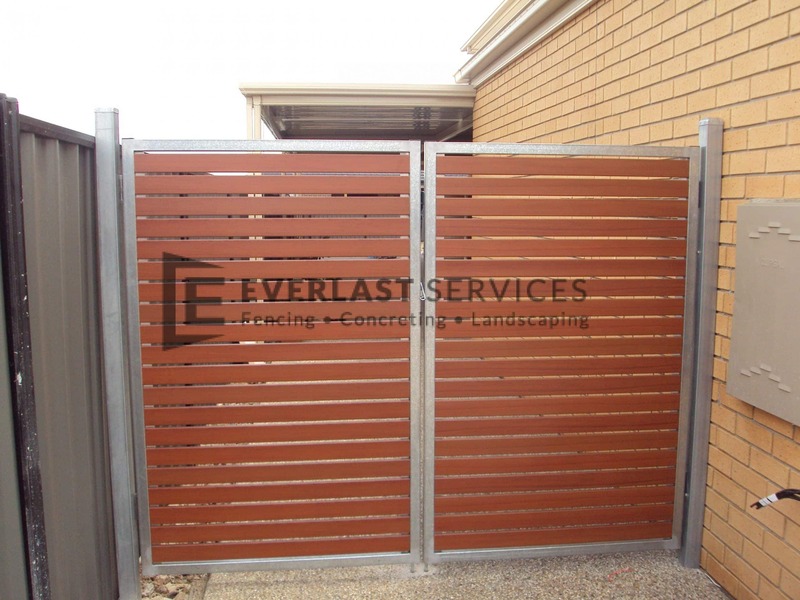 It is a very difficult material to break or cut through – pointed tops can also make it hard to be jumped over. 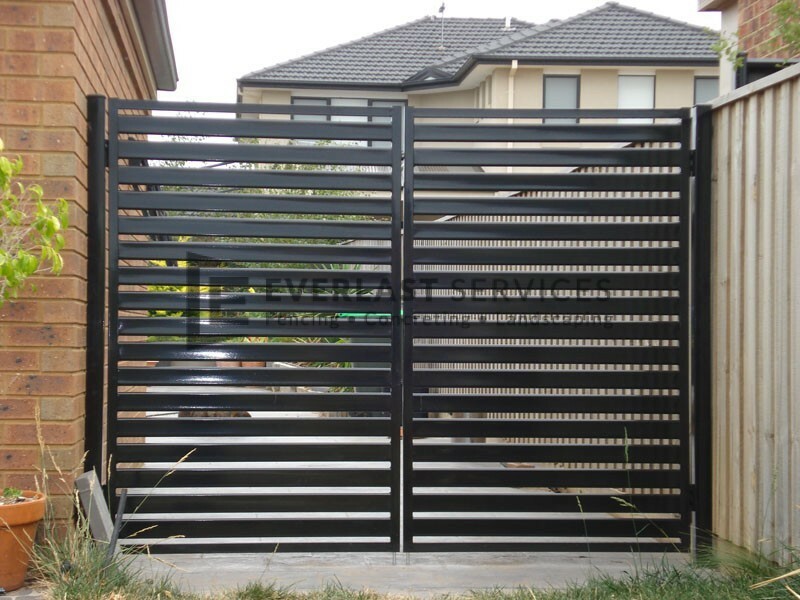 If steel is treated correctly in the manufacturing stage, it will not require much maintenance. 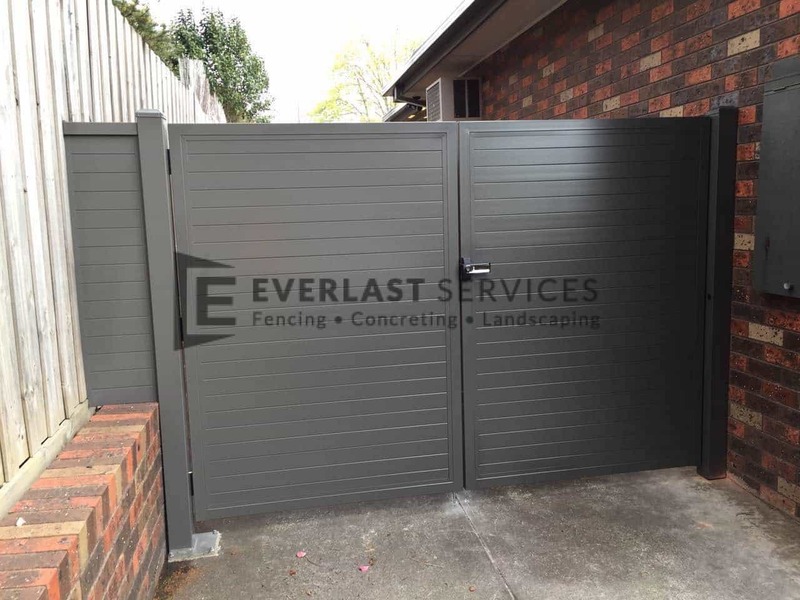 The majority of steel has been pre-galvanized to ensure it won’t rust years down the track, making it one of the most durable materials. 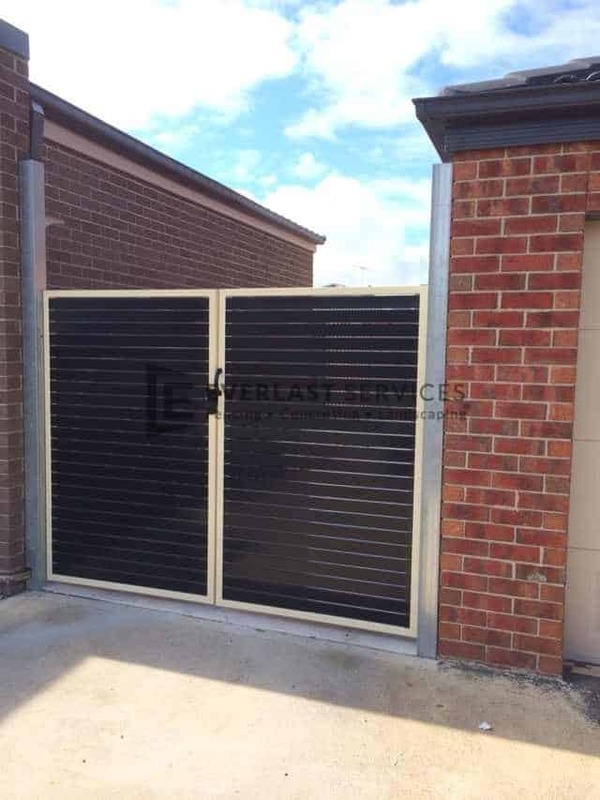 We manufacture our gates in our very own Hoppers Crossing factory. 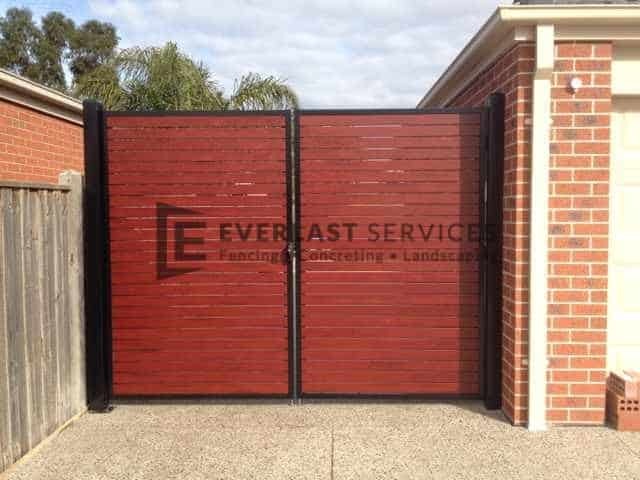 So, we stand buy the quality of our products, as well as the fact that they are 100% Australian made and owned. 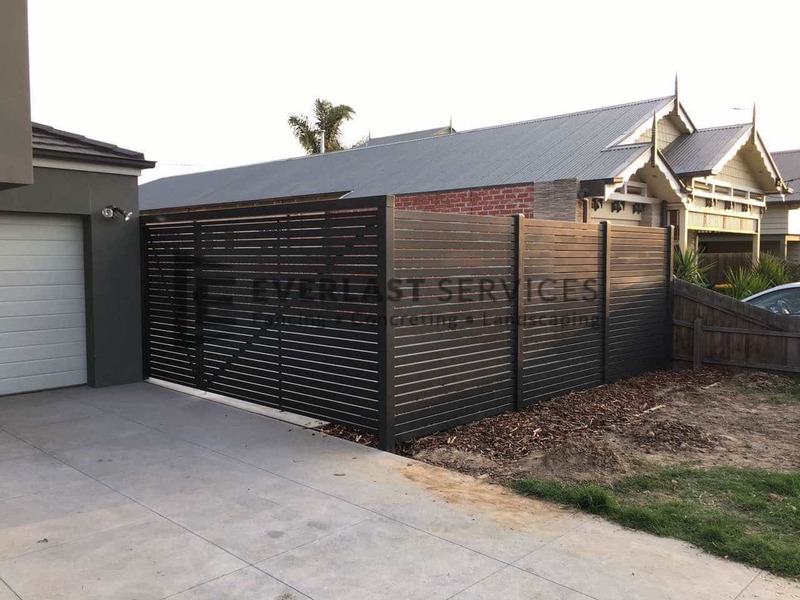 We are a steel fabricator and steel wholesaler, meaning we can design and manufacture in-house all the parts you will ever need. 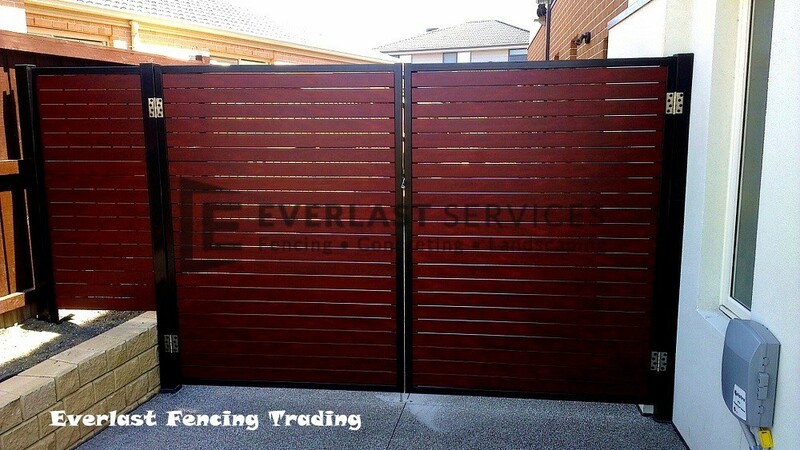 We also sell wholesale and direct to the public, cutting out the expensive middleman costs. 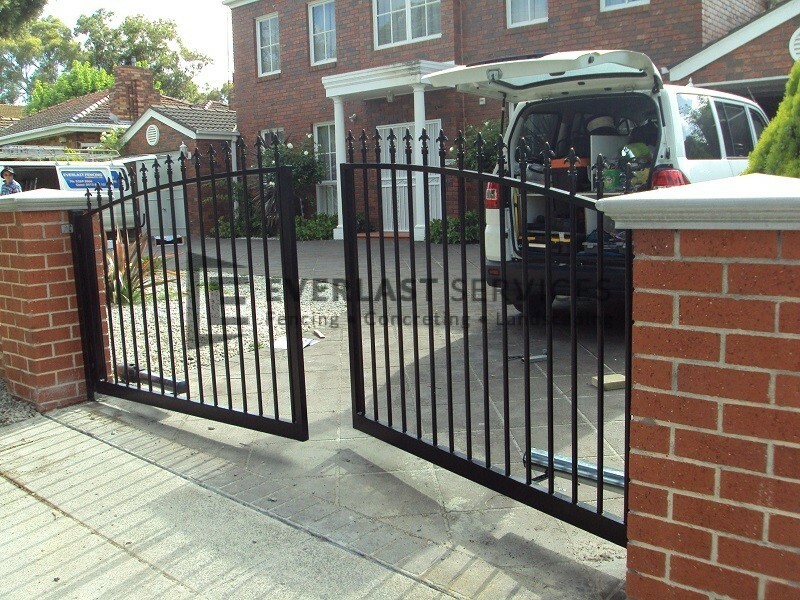 This allows us to remain at a competitive price point, making our products cheaper for you.